What is Fishing: Barents Sea? 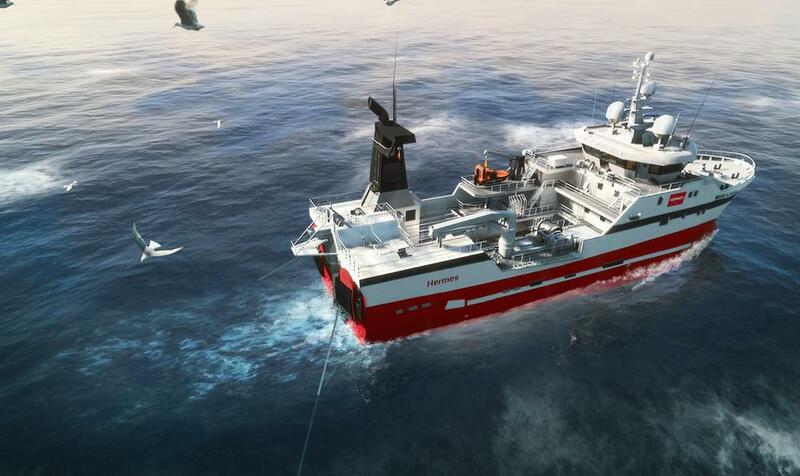 In Fishing: Barents Sea you inherit the small ship of your grandfather and brave the rough Barents Sea to realise your dream of owning your own commercial fishery. Catch fish to buy new upgrades and new ships, hire a crew and drive out to the high seas with large trawlers to find the biggest catch. When you first click on "New Career" you'll be prompted to play the tutorial. We recommend playing it to learn the basics of the game. I finished the tutorial - what do I do now? After mastering the basics of the game you can explore the Barents Sea on your own. Take a few lines with you, search for the best fishing grounds with your GPS, and take in the scenery. In the port menu you can also take a look at any future updates or, for example, quests you can take. You can save your game at any time in the game's menu located at the top left of the screen. How can I unlock different ships? You first need to earn certificates to be able to buy new ships. You earn these by driving certain distances on the ocean. How can I change the fishing method? In the port's menu you can click on the dock, and then go to the tab to upgrade your ship. If possible for your current ship, you can buy a new fishing method. How can I catch different types of fish? By using the sonar on your ship the different types of fish will be displayed on your monitor. Try to place your lines or nets so that you'll be able to catch the desired type of fish. Take a look at the wiki to find out if the particular kind of fish you're looking for is available in the current season. How do I bait the line? At the fish market at the port you can buy new fishing lines and with a right click bait them with four different kinds of bait. I can't catch any fish, what am I doing wrong? Your lines or nets need to at least be in the ocean for about four in-game hours so that there will be a chance of catching fish. You can also use your sonar to see whether there are fish in a certain area. I can't go fishing anymore. What am I doing wrong? Make sure that you have enough baited lines or nets on your ship. If you have a larger ship, make sure you have enough people employed to go out to sea. I'm out of fuel/my ship is broken - and I'm out at sea! If you get stuck at sea a radio will appear automatically on the right side of the screen. Click on it to be pulled to the nearest port - for a certain fee of course. If you have insurance you'll save a lot of money! What kinds of fish can I catch in the game? Depending on the season you can catch cod, pollack, haddock, redfish and mackerel. I bought a trawler, I'm out on the open sea - what now? To continue the trawling, or the trawling tutorial, switch into first person view with v, then get up from the seat with f and go to the back console. There you can set your crew to "set trawl" and set out the trawl bag. To do this press the button in the middle of the console. The two sticks left and right control the net, and on the Scanmar screen you can turn on different sensors to help you. Make sure that you're not too close to land, and that your waypoints don't cross over land, then you should be able to fast travel again.